Spyderco's Proficient fixed blade is a modern day bushcraft knife with high-tech materials. 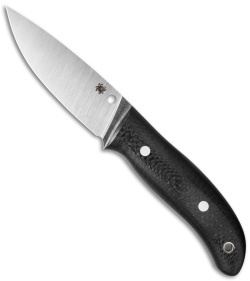 Designed by Chris Claycomb of Bushcraft UK, the Proficient knife features CPM-S90V super steel with a full-flat grind instead of the traditional high carbon steel, scandi grind variation. 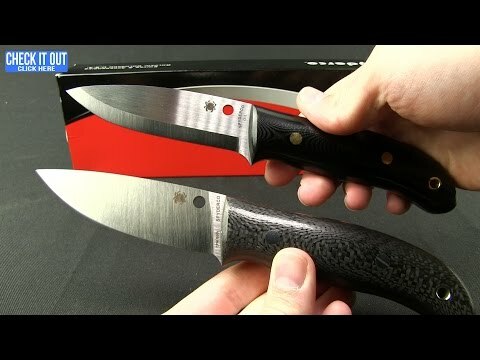 The result is a knife with superior cutting dynamics and edge retention. The Proficient knife also sports a thoughtfully contoured carbon fiber handle to stave off hot spots during extended periods of use. 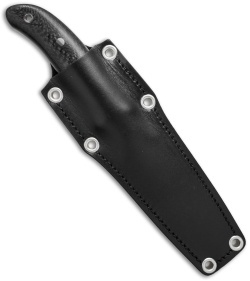 Included with this premium outdoor fixed blade is a leather sheath for belt carry.